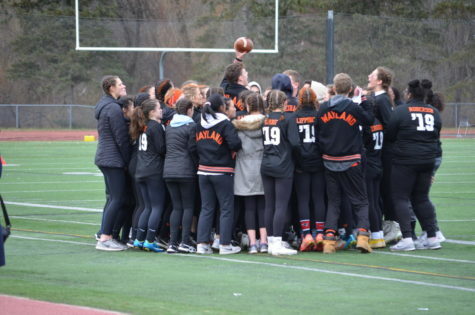 The annual Wayland versus Weston powder puff game was held on Wednesday, Nov. 21 at WHS. 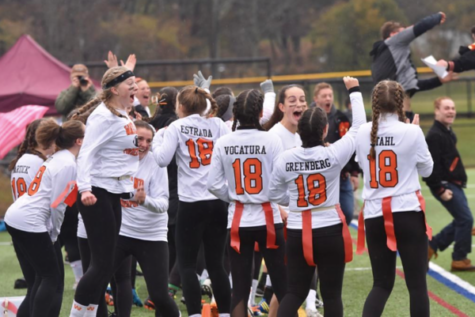 Wayland senior girls, coached by Wayland boys' football seniors, won 13-12. 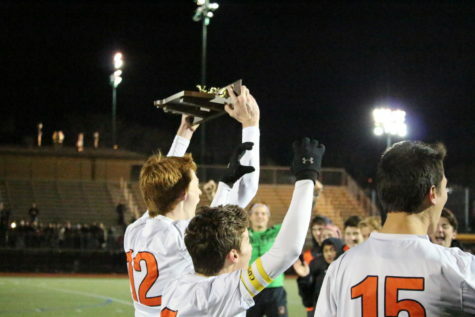 Wayland boys' soccer defeated Lynnfield 3-1 in the division three north sectional finals. 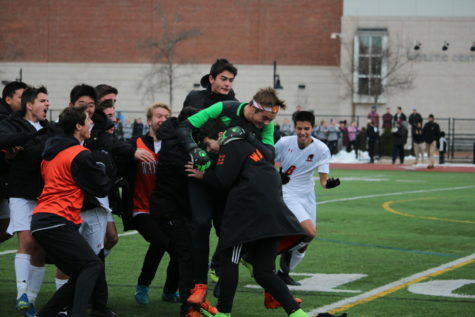 The boys' varsity soccer team defeated Holliston 2-1 in the State Semi-Final game at Norwell High School. 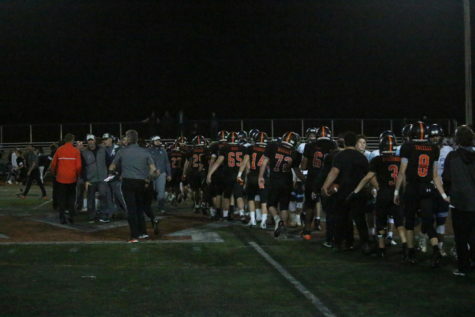 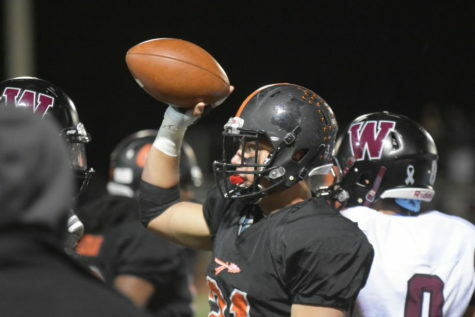 Wayland took on Dracut in their playoff matchup on Nov. 4. 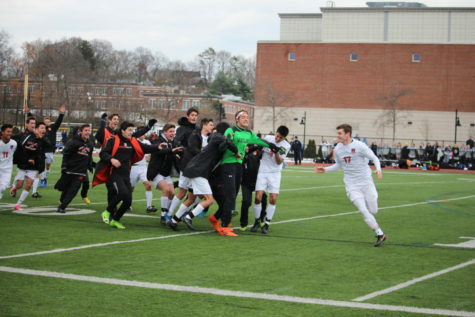 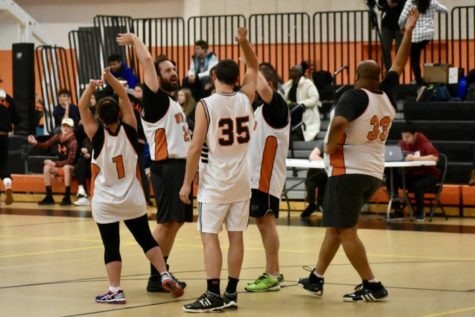 The Warriors capitalized in double overtime to win the match at home. 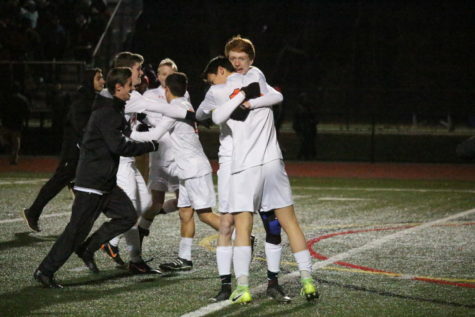 Players on the boys' varsity soccer team embrace after defeating Holliston in the Division 3 State Semifinals.